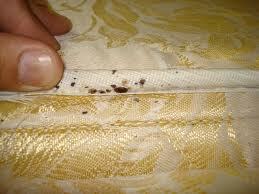 Adult bedbugs are 4mm-8mm, they have an oval body, reddish brown, they can become purple after feeding. They have very small wings, antennae and compound eyes, their legs are clawed to allow them climb rough surfaces. They lay 3 eggs a day and approximately 200 over their life span. The eggs hatch into nymphs after 10 to 20 days. Their habbit and breeding places can be on bedside furniture, door casings, under windowsills, pictures and posters, under peeling wallpaper, in floor boards and seams of curtains. Growth rate depends on the temperature and food available, egg to adult is usually 9 to 18 weeks depending on the room temperature. 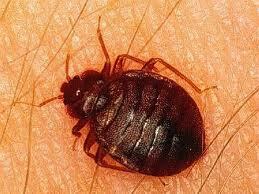 If you think you have any bedbugs then call Duncan Ross Pest Control he will come and sort out your problem.